Zanzibar is a unique paradise. Beyond the dreamy turquoise and raw coconut coastlines and delectable cinnamon-vanilla aromatics, it is a place of dazzling colour, spellbinding culture, and bewitching soul. Zanzibar is an archipelago off the coast of Tanzania and is home to an estimated population of 1.5 million. Attractions include Stone Town, Mnemba Atoll, and Kendwa Beach. Get ready to lose yourself in the sultry rhythm and shabby decadence of this tropical African paradise with cheap flights to Zanzibar. Zanzibar is home to Abeid Amani Karume International Airport (ZNZ), which is 10-minute drive from the centre of town. The airport serves Kenya Airways, Mango and Precision Air. Popular domestic flights to Zanzibar depart from Johannesburg, Cape Town and Durban. Flight duration from Johannesburg to Zanzibar is approximately 3 hours, 35 minutes. Imagine spending your afternoons basking on velvety beaches, swimming beside dolphins, and witnessing dazzling sunsets settling over glittering dhow-dotted horizons. Zanzibar has all this and more. 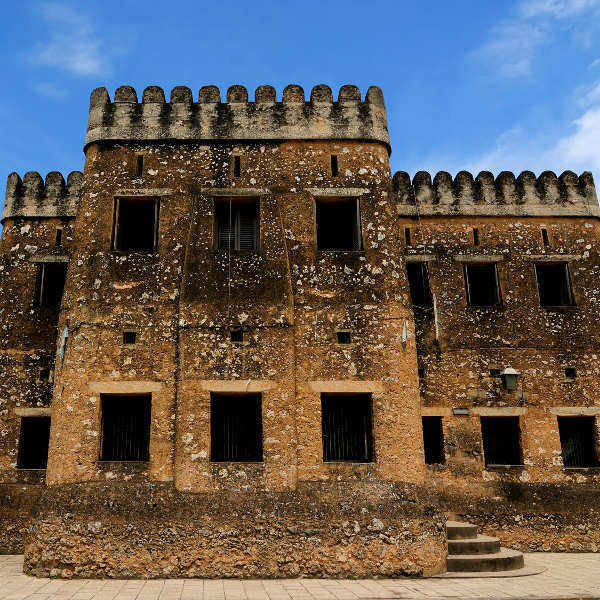 From Stone Town, with its Swahili architecture and baraza lined streets, to the Hamamni Persian Baths that whisper of sultans and Omani empires, history and culture effervesce exquisitely in Zanzibar. Food in Zanzibar is a tantalising fusion of flamboyant and fresh. 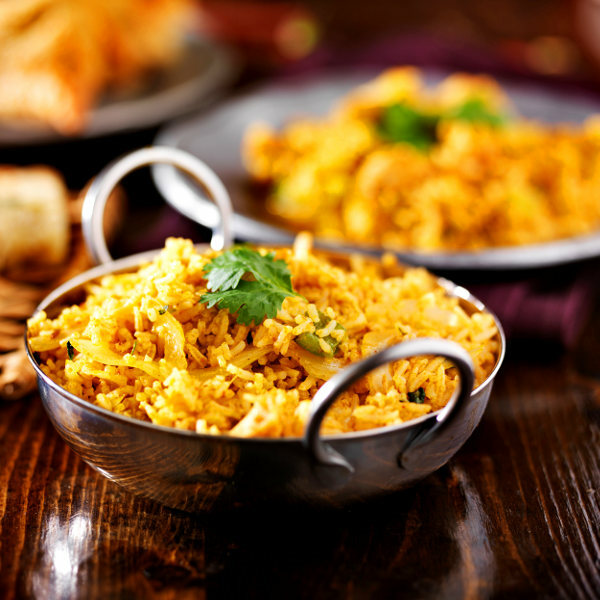 Browse food markets and duck into restaurants to find traditional dishes such as biryani, octopus curry, mishkaki and urjojo. Zanzibar experiences a tropical climate, with two dry seasons and two wet seasons. Average temperatures range from 29 degrees Celsius in summer to 21 degrees Celsius in winter. The cool, dry season spans June to October, while the hot and humid dry season settles over the island in January and February. As for the wet seasons: the long rains descend from March to June, while the short rains fall during November and December. June to October is considered the best time to go for beach and holiday safaris, as these months coincide with peak viewing conditions in the wildlife reserves of Tanzania. The winter months (June to October) are also a great time to visit if you want to enjoy balmy temperatures and experience the bustling holiday atmosphere. 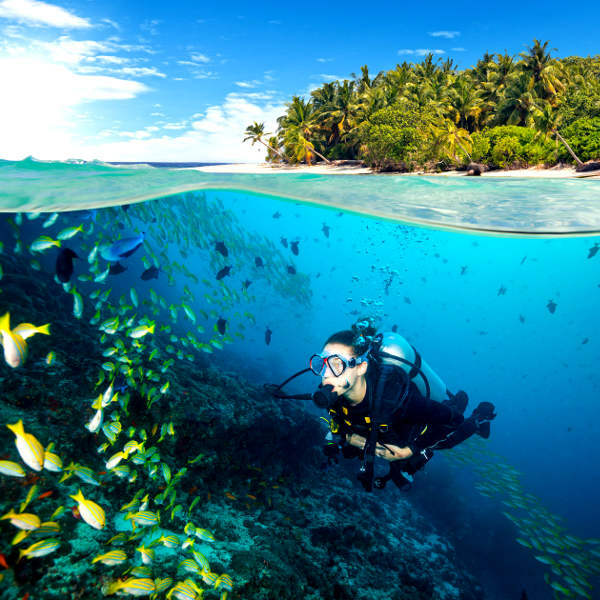 These months also offer excellent conditions for scuba diving. For cheap flights to Zanzibar, the best time to visit is from March to May. Zanzibar is a place where coastlines glitter and gentle breezes scented with mango, nutmeg and vanilla, sweep through old streets that whisper of exotic trade and bristle with shabby charisma. Zanzibar is an archipelago of two large islands (the main island of Unguja and Pemba) and many small islands located 25-50 kilometres off the east coast of Tanzania. It is famous for its fascinating history, robust fusion of exotic cultures, dhow-dotted turquoise water, and velveteen beaches peppered with thatch pagodas and coconut palms. Embark on a dhow safari, swim beside dolphins and whale sharks, glide through colourful coral kingdoms inhabited by sea turtles and manta rays, or explore shipwrecks, canyons and caves. 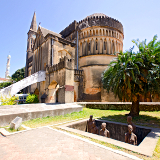 On land, explore Stone Town, the historical heart of Zanzibar. Seek out finely carved Swahili doors, for which Zanzibar is famous, and follow the scent of coffee and spices to find street food such as forodhani (traditional Zanzibar pizza) and kachori. Shabby yet idyllic, easy going yet trembling with energy – Zanzibar is a place of contrasts, colour and unmistakable soul. 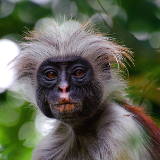 Compare several airlines and book your cheap flights to Zanzibar online at Travelstart! Compare and book your Mango Airline flights to Zanzibar and cheap flight routes from Johannesburg to Zanzibar online at Travelstart! South African passport holders do not need a visa to enter Zanzibar, or anywhere else in Tanzania. You will need to ensure your passport has a validity of at least 6 months and blank pages for stamps. Zanzibar is considered a safe destination. However, crime does happen. You should take certain precautions and use common sense as you would in any other unfamiliar city. Travel insurance to cover theft and medical expenses is recommended. Remain vigilant and aware of your surroundings at all times, especially in crowded areas. Avoid flashy displays of wealth and carrying large sums of cash, valuables and important documents, as pick-pocketing does happen. Avoid walking around out at night (particularly women). Make use of registered taxis when travelling at night. Zanzibar is at risk for malaria, Zika virus, chikungunya, and dengue fever, so medication is required and the necessary precautions should be taken to avoid bites. Immunisation against hepatitis A & B, typhoid, cholera, and rabies is recommended. Other routine vaccinations include MMR, diphtheria-tetanus-pertussis, varicella, and polio. Bottled water is recommended. Zanzibar is made up of different areas, each with its own personality and rhythm. Experience every side of this vibrant island by staying in several areas. 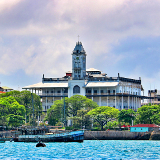 Stone Town is a great area if you want to be near the thrumming heart of the island. Colourful bazaars, beautiful architecture, and interesting attractions abound. Nungwi and Kendwa are lively and teeming with restaurants, bars, bazaars, and gorgeous beaches. For those seeking peace and tranquility, the east coast is easy-going and quieter. Accommodation in Zanzibar ranges from 5-star resorts draped in Arabian opulence and luxurious spa retreats that spill out onto cotton beaches, to romantic villas, traditional beach cottages, and rustic backpackers surrounded by wild tropical forests. Exploring the island will be one of the most exciting and unforgettable parts of your journey. And while renting a car offers considerable freedom and flexibility, there are several ways of getting around Zanzibar (some of which are unique to the island and therefore something you absolutely need to experience). Roads can be poorly marked and an International Driving Permit is required for car and motorcycle rentals. Working out a deal with a taxi driver or hiring a car and driver are good alternatives. Private minibuses offer daily pick-ups from hotels and drop-offs at the north and east coast beaches. Dalla-Dallas are used by locals. Although crowded and rickety, these are a great way to experience the culture of Zanzibar and interact with locals. They link all major towns and depart from Gapco petrol station.